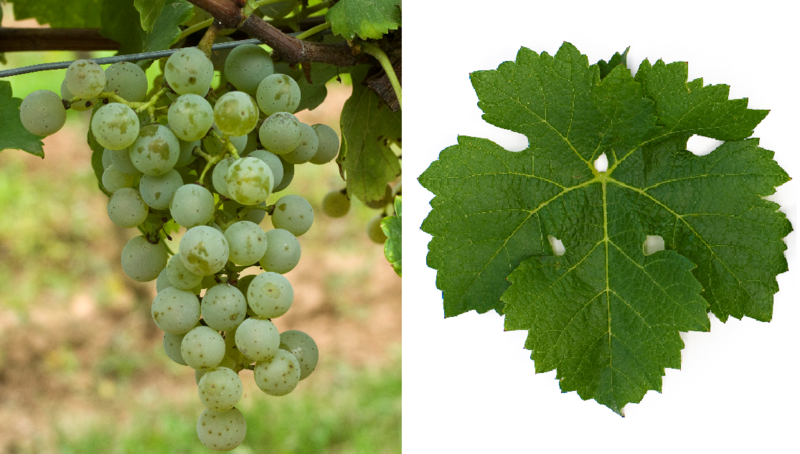 The white grape (also VB 91-26-1) is an interspecific new breed between Cabernet Sauvignon x unknown resistance partners. It is believed that this is a complex crossing Cabernet Sauvignon x ( Sylvaner x ( Riesling x Vitis vinifera) x (JS 12417 x Chancellor )) as well as in the new breeds Cabertin and Pinotin is. Accordingly, genes of Vitis labrusca. Vitis lincecumii. Vitis rupestris and Vitis vinifera contain. The intersection of hybrid was in 1991 by the owner of the winery Valentin Blattner in Soyhières in the Swiss canton of Jura, the selection then in the nursery Freytag in Neustadt / Lachen-Speyerdorf in the Palatinate (Germany). The vine is resistant to frost. Botrytis and both mildews, but tends to millerandage (Millerandage). It produces aromatic, fragrant white wines that are in the taste between Riesling and Sauvignon Blanc. The variety is in small quantities in the Switzerland, in Germany. Netherlands and in Austria grown. In 2010, however, no stocks were reported (Kym Anderson ). This page was last modified at 19 February 2019 at 07:04.